Amazon Studios has partnered with StudioCanal for a forthcoming biopic on Nobel Prize-winning scientist Marie Curie. Amazon will co-finance the film alongside StudioCanal and will take U.S. distribution rights on top of a few other European locations, per Variety. 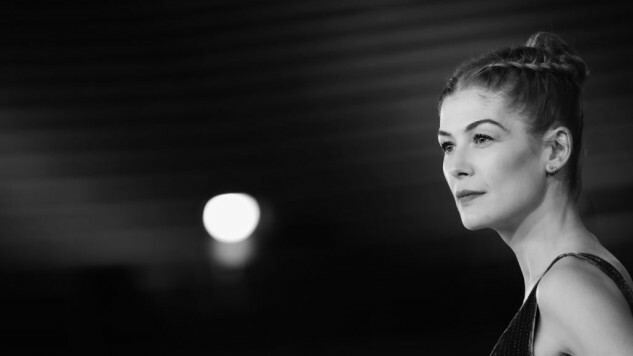 Radioactive stars Oscar nominee Rosamund Pike, with Marjane Satrapi directing. Working Title Films chairmen Eric Fellner and Tim Bevan will produce with Paul Webster. The film follows Marie Curie’s (née Marie Sk?odowska) extraordinary scientific discoveries and her romance with Pierre Curie. Working together, the Curies discovered two new elements (polonium and radium), won a Nobel Prize in Physics and were responsible for heralding a new era in science by recognizing radioactivity as an atomic property. Pierre Curie’s life was cut short by a traffic accident in 1906, leaving Marie to continue their work alone. She then went on to win a Nobel Prize in Chemistry in 1911. Satrapi is best known for her Oscar-nominated 2007 animated film Persepolis. Eric Fellner, Tim Bevan and Paul Webster all produced the Oscar-winning Atonement together. StudioCanal is an international production and distribution company that has been around for decades. Pike received her Oscar nomination for the 2014 David Fincher thriller Gone Girl and has since been seen in A United Kingdom with David Oyelowo and Hostiles with Christian Bale. Up next, Pike will appear in Bleecker Street’s Beirut with Jon Hamm and 7 Days in Entebbe with Daniel Brühl. She is currently filming A Private War with Stanley Tucci.